Professional inspection thank you 5 star. Great communication, quick response ... was professional and on time.. would highly recommend..
to have them on our property. Always professional and helpful. I haven't had any issues with critters since treatment started. They are always very willing to help do more if I request to do so. I used Home Paramount for awhile, then didnt see any pest activity, so cancelled. Never again... learned my lesson. Every technician has been extremely friendly and helpful. Highly recommend signing up for annual services. I never mice, fruit flies or ants!!! And living on the eastern shore... that’s an accomplishment. Home Paramount does a good job & great price. They stay in touch on arrival time. The new technician was really great. We look forward to seeing him on subsequent visits. On time appointments and friendly technician. Very happy so far, mosquitoes are down since starting service, and haven't seen any bugs inside the house either. The technician was courteous, professional and thorough. Billing Transaction process was easy and convenient and reports were provided in a timely manner. I recommend them HGHLY!!! Very happy with Home Paramount! We have used them for years and love Joseph, our service technician. He is the ultimate professional and very knowledgeable. We recently added mosquito service! They came quickly and were easy to work with. They initially came to look for a snake in my attic. I was very pleased with how informative they were and obviously weren't about taking unnecessary money. When I needed more- I got termite and mosquito work with them. They exceeded my expectations and have reasonable rates. Will definitely. The tech did a great job. He does everyy time. He. Takes his time a covers the whole property. Thhanks. Service is good but I feel like you are coming out earlier every quarter. It used to be at the end of the month and now it is closer to the beginning of the month. He is the best and most consistent person I have had from Home paramount. Joseph, the technician, is careful, thorough and conscientious. Technician is very cooperative and tries to take care of our pest control wishes. They should be reminded however, that when a household part presents an obstacle to their doing a job, they should stop and ask for homeowner assistance and not continue to the point of item breakage. Great job he does and is a nice person to talk to. I have been dealing with your Easton MD team. They are AWESOME!!!! We have been fighting bedbugs at my in-laws house and I think they are bionic bedbugs. Your crew, especially Keith have been amazing. My in-laws are not very mobile so it is quite a job to get them out and be able to treat the house. Thank you for having such a fabulous team. Mike, Rodney, Keith, and Kendra have been so very helpful and patient with me. Awesome service every time they come out !!!!!! All is well so far. Thanks. I am very satisfied with the Home Paramount service. We are thrilled to be able to enjoy our backyard and pool this year without having to worry about tics, mosquitoes, and wasps! Our Tech did a great job. We had some contractor's working in the home and he rescheduled because we couldn't keep our dog in the house. Haven't seen any ants or other pests since service started. I’ve been satisfied with our pest control! We have no insect issues and the technicians are always prompt, courteous and professional. 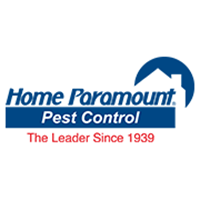 Whenever there is a potential issue, Home Paramount addresses it immediately. I called for someone to come out to my home because I found out when I came home from an evening meeting that there were ants are over my kitchen wall. I was shock and they got someone to come out. Will they came out and not an ant to be seen. They understood. It was the weather etc. and how they were getting in. The person who I talked to was so understanding and they person who came out was also. This meant a lot to me. Yes I was very happy that people I had contact with care and understood that meant a lot to me. Joseph is very thorough and immediately and effectively responsive to our requests and/or concerns! It is a pleasure to work with him! service technician provided all the required services I needed at the time of the visit. You all do a wonderful job! Anthony usually comes and is excellent, polite, efficient and very personable.